In order to make sure that group is the right fit for you, all new clients require a phone screening and assessment. 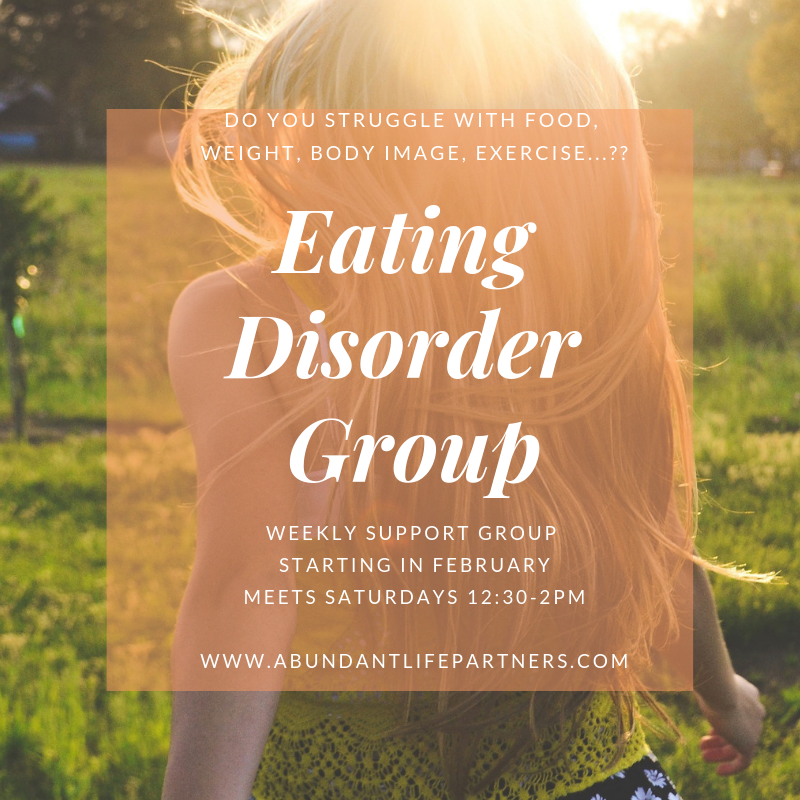 This group is for a small, committed group of individuals who are passionate about recovery from the obsession with food, weight, and body image. This is a 1.25-hour interpersonal support group. Each group will involve "check-ins" with members and opportunities to process the week's triumphs and challenges in the fight for recovery. Insurance will be billed for groups so cost will be your typical copay for therapy. If you would like to self-pay for groups or do not have insurance, please contact us to discuss payment options. Recovery is possible, and you don't have to struggle alone!